In the case of Akoshile vs. Ogidan 1950 19 NLR 87, the defendant bought a stolen car from a third party. He subsequently sold the car to the plaintiff. When the third party was arrested, the car was collected from the plaintiff by the police. The plaintiff subsequently sued for the price he paid to the defendant. 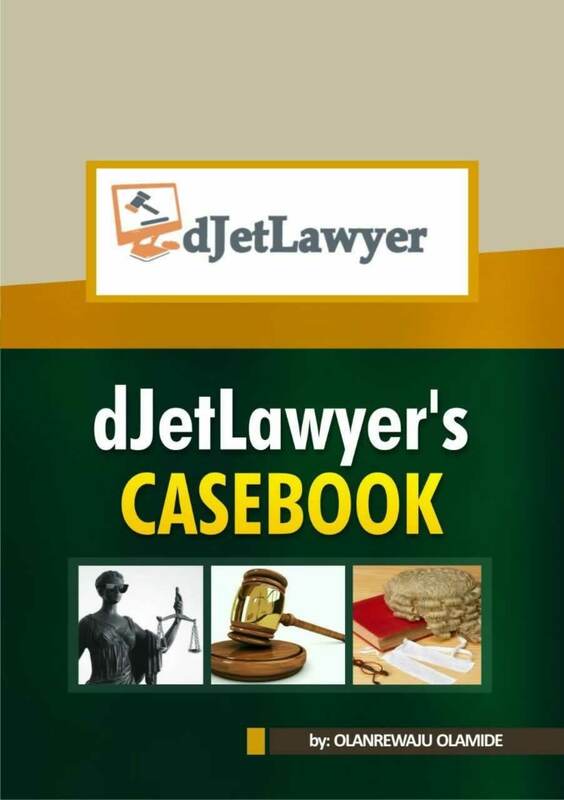 The court held that the sale of the car to the plaintiff by the defendant was in breach of the condition S.12 (1). This was due to the fact that the defendant didn’t have a title to the goods since they were stolen. Thus, he could not transfer same. 1. Where there is a sale of property by an agent: By the provisions of 21(1) title can be passed by a person who is not the owner if he sells the goods on the permission of the true owner; Imam vs. ABU 1970 NNLR @p39. 2. Where the principle of estoppel applies: This could come to play in situations in which the true owner by conduct or words implies that the seller has ownership of the property. It could also arise due to the negligence of the owner which gives the seller the authority to sell. This could be seen by the closing part of S.21(1) where it said that sale by persons not the owner would be valid if the owner has by his conduct been precluded from denying the seller’s authority to sell. 3. Sale By a Mercantile Agent Under The Factors Act: It is stated by the provisions of S.21 (2) (a) SOGA that this rule doesn’t apply to goods sold under the provisions of the Factors Act. The factors act deals with the regulation of sale of goods by a mercantile agent. A mercantile agent has been defined by S.1 (1) of the Factors Act as a person whose normal business it is to receive goods as an agent for the purpose of the sale of such goods. Thus a person who decides to help his friend sell some goods to a third party cannot be regarded as a mercantile agent. This is due to the fact that being an agent is not his normal business. For this exception to apply, S.2(1) of the Factors Act provides that the mercantile agent has to be in possession of the goods with the consent of the owner, provided that the person who buys them does so in good faith. This means that even though the owner did not tell the mercantile agent to sell, if the documents of the goods and possession are given with consent to the agent, any sale by the agent to a buyer in good faith would be valid. In the case of Pearson vs. Rose and Young Ltd (1950) 2 All ER 1027, the plaintiff delivered his car to a mercantile agent in order to just get offers, not to sell the car. The agent intended to sell the car as soon as possible and to embezzle the funds. Thus, he tricked the plaintiff into leaving the registration book with him. While the owner/plaintiff was away, the agent sold the car to a third party. In court, it was held that although the agent was in possession of the car and the registration book, the possession of the registration book was without the owner’s consent. Thus, he couldn’t validly sell the car since a car can’t be sold without its registration book. 4. Sale Under Special Powers: According to the provisions of S.21 (2) (b) SOGA, the validity of a contract of sale under common law power, statutory power and judgement of a court would be exempt from the provision of this rule. 5. Sale in Market Overt: A market overt has been defined by Jervis J in Lee vs. Bayes 1856 18 CB 599 at p. 601 as an open, public and legally constituted market. By the provisions of S.22 (1) SOGA, goods that are bought in a market overt according to the use of the market and in good faith are also exempted from the application of the rule of ownership. Thus, if a person buys a car in a market overt for foodstuff, it is not according to the use of the market and thus, the rule would not apply. A market overt is one that is usually open during the hours of sunrise and sunset. For this rule to apply, the goods have to be sold in the market within the hours of operation of the market. 6. Sale under Voidable Title: By the provisions of S.23 of the Sale of Goods Act, where a seller has a voidable title to the goods in his possession and he sells them before his title becomes void, the buyer has gotten a valid title to the goods purchased if the goods are bought in good faith. Thus, in the case of Lewis vs Averay a rogue misrepresented himself as a popular actor to the plaintiff in order to purchase a car from him. The car was purchased with a cheque which later bounced. The rogue sold the car, before the fraud was discovered, to the defendant who bought it in good faith. After the fraud was discovered, the plaintiff sued the defendant for the car. it was held that the title which the rogue possessed after duping the plaintiff was voidable pending the failure of the cheque. Since the car was bought in good faith by the defendant from a person who had a voidable title, he had acquired a valid title. 7. Seller In Possession: According to the provisions of S.25(1) of SOGA, if a seller having sold the goods in question but he still has them in his possession and the goods are bought in good faith, from him or a mercantile agent acting for him, by another party who is ignorant of the initial sale, such party has acquired a valid title. 8. Buyer In Possession: By the provisions of S.25(2) of SOGA, if a person who has bought or agreed to buy some goods is in possession of the goods or documents of title, he or a mercantile agent acting on his behalf can transfer the same to another buyer who buys in good faith and the title would be considered valid. Thank you so much for this. Pls, I came across this pass question and I would appreciate your thoughts on it. 1) john a dealer collect and sells rare books. Whilst visiting a neighboring town, he noticed that mike has 3 rare editions in his possession. He negotiates and an agreement was reached. The price was fixed at #5000 for each of the book. On the assumption that he will have the book in his possession soon, he negotiates to sell the first book to queen for #9000, the second to Toby for #8000, and the third to jack for #15000. When john returned to mike to collect and pay for the 3 books, she was shocked when mike inform her that the sale is off because he has received an offer from alex for the sum of #30000 for the set of the 3 books and he has agreed to sell it to him. Explain what remedies if any john has against mike. 2) joy and Richard have recently moved to a new house together and have purchased a number of item with which they are not satisfied. Explain to joy and Richard why the law imply terms into certain contracts for sales of goods.